The National Register of Citizens (NRC) and the Citizenship (Amendment) Bill are turning out to be a key election issue in at least seven constituencies of West Bengal that share porous borders with Bangladesh and Nepal. 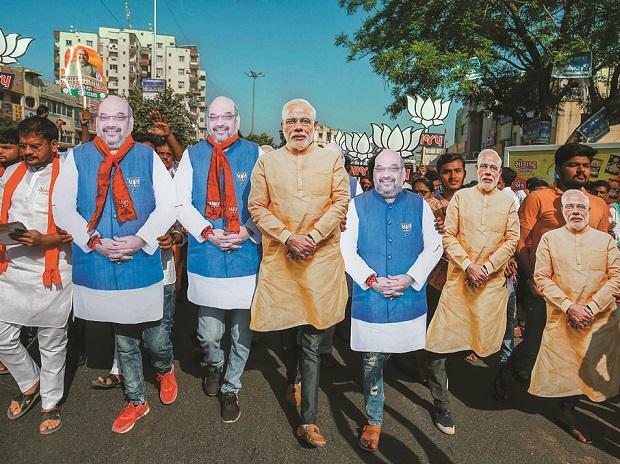 With campaigning at its peak in Darjeeling, which shares the border with Nepal, Bharatiya Janata Party (BJP) President Amit Shah raised the controversial issue during a poll rally on Thursday in this Lok Sabha constituency. "The Modi government will ensure that the refugees who have come to India get citizenship of this country. The NRC is targeted to identify infiltrators, who remain a national security concern and throw them out of the country. The Modi government will never compromise India’s security," he said a rally in Kalimpong. He stressed that the BJP will introduce the NRC across the country if voted to power again. While the BJP is vying to retain the Darjeeling seat, Mamata has put her best foot forward to wrest control from the saffron party. The rallies of the two leaders in Darjeeling were held on the day when the nearby constituencies of Coochbehar and Alipurduar, where the NRC and the citizenship Bill remain a key issue, went for polls in the first phase of the Lok Sabha battle. The BJP in its manifesto, too, has laid the objective to implement the NRC. But the ethnic Gorkhas, Tamang, Lepchas and others in Darjeeling, the tribal-origin minorities and refugees from Bangladesh in Coochbehar and Alipurduar and some Hindus and Muslims alike in border areas in Malda, and North and South Dinajpur constituencies are perturbed. According to Gorkhas, their names must be included in the NRC as they claim to have come to India as per political arrangements. Historically, the area which today comprises Kalimpong, Darjeeling and the surrounding areas were part of Sikkim, which was annexed by Bhutan in 1706. Later, the Treaty of Sinchula between the British and Bhutan resulted in the accession of this area to India. Incidentally, while the BJP is vying to retain the Darjeeling seat, Mamata has put her best foot forward to wrestle control from the BJP. On Friday, even as the nearby constituencies of Coochbehar and Alipurduar went to polls, Shah and Mamata, both campaigned in Darjeeling to bag votes for their respective candidates. In her address at a rally in the prime Chowk Bazaar area in Darjeeling, Mamata claimed, “We were the only ones to oppose the Citizenship (Amendment) Bill when it was tabled and the Modi government wasn’t able to pass it. Now if they return to power, they will pass this Bill”. She alleged that under this Amendment, citizens marked as refugees will lose their voting rights and certain other rights for a period of five years and thereafter will lie at the mercy of the government. “Under NRC, they will decide who will stay and who will leave”, Mamata furthered. ALSO READ: Rao, Reddy, Patnaik: Would chickens come home to roost for the BJP? Shah is aiming for BJP's ascent to power in West Bengal in the 2021 state elections. While Shah prioritised national security as one of the key objectives of the BJP, Mamata hit back at Shah claiming that under Modi’s rule, terrorism had increased as compared to previous regimes. Expressing his confidence that Modi will return back to power, Shah said, “We would remove Article 370 from Kashmir after Modi returns to power”. The aforesaid Article gives special status to Jammu and Kashmir and Shah’s claim over this Article has also been reiterated in the 2019 BJP manifesto.